Chapter 53 - Regulation of Financial Services. § 53-1: Repealed by Session Laws 2012-56, s. 1, effective October 1, 2012. Article 1A - General Provisions. § 53-1.1. Banking definitions applicable to this Chapter. § 53-2: Repealed by Session Laws 2012-56, s. 1, effective October 1, 2012. § 53-3: Repealed by Session Laws 2012-56, s. 1, effective October 1, 2012. § 53-4: Repealed by Session Laws 2012-56, s. 1, effective October 1, 2012. § 53-5: Repealed by Session Laws 2012-56, s. 1, effective October 1, 2012. § 53-6: Repealed by Session Laws 2012-56, s. 1, effective October 1, 2012. § 53-7: Repealed by Session Laws 2012-56, s. 1, effective October 1, 2012. § 53-8: Repealed by Session Laws 2012-56, s. 1, effective October 1, 2012. § 53-9: Repealed by Session Laws 2012-56, s. 1, effective October 1, 2012. § 53-9.1: Repealed by Session Laws 2012-56, s. 1, effective October 1, 2012. § 53-10: Repealed by Session Laws 2012-56, s. 1, effective October 1, 2012. § 53-11: Repealed by Session Laws 2012-56, s. 1, effective October 1, 2012. § 53-12: Repealed by Session Laws 2012-56, s. 1, effective October 1, 2012. § 53-13: Repealed by Session Laws 2012-56, s. 1, effective October 1, 2012. § 53-14: Repealed by Session Laws 2012-56, s. 1, effective October 1, 2012. § 53-15. Repealed by Session Laws 1947, c. 696. § 53-16: Repealed by Session Laws 2012-56, s. 1, effective October 1, 2012. § 53-17: Repealed by Session Laws 2012-56, s. 1, effective October 1, 2012. § 53-17.1: Repealed by Session Laws 2012-56, s. 1, effective October 1, 2012. § 53-17.2: Repealed by Session Laws 2012-56, s. 1, effective October 1, 2012. Article 3 - Dissolution and Liquidation. § 53-18: Repealed by Session Laws 2012-56, s. 1, effective October 1, 2012. § 53-19: Repealed by Session Laws 2012-56, s. 1, effective October 1, 2012. § 53-20: Repealed by Session Laws 2012-56, s. 1, effective October 1, 2012. § 53-21: Repealed by Session Laws 2012-56, s. 1, effective October 1, 2012. § 53-22: Repealed by Session Laws 2012-56, s. 1, effective October 1, 2012. § 53-23: Repealed by Session Laws 2012-56, s. 1, effective October 1, 2012. § 53-24: Repealed by Session Laws 2012-56, s. 1, effective October 1, 2012. § 53-25: Repealed by Session Laws 2012-56, s. 1, effective October 1, 2012. § 53-26: Repealed by Session Laws 2012-56, s. 1, effective October 1, 2012. § 53-27: Repealed by Session Laws 2012-56, s. 1, effective October 1, 2012. § 53-28: Repealed by Session Laws 2012-56, s. 1, effective October 1, 2012. § 53-29: Repealed by Session Laws 2012-56, s. 1, effective October 1, 2012. § 53-30: Repealed by Session Laws 2012-56, s. 1, effective October 1, 2012. § 53-31: Repealed by Session Laws 2012-56, s. 1, effective October 1, 2012. § 53-32: Repealed by Session Laws 2012-56, s. 1, effective October 1, 2012. § 53-33: Repealed by Session Laws 2012-56, s. 1, effective October 1, 2012. § 53-34: Repealed by Session Laws 2012-56, s. 1, effective October 1, 2012. § 53-35: Repealed by Session Laws 2012-56, s. 1, effective October 1, 2012. § 53-36: Repealed by Session Laws 2012-56, s. 1, effective October 1, 2012. Article 4 - Reopening of Closed Banks. § 53-37: Repealed by Session Laws 2012-56, s. 1, effective October 1, 2012. § 53-38: Repealed by Session Laws 2012-56, s. 1, effective October 1, 2012. § 53-39: Repealed by Session Laws 2012-56, s. 1, effective October 1, 2012. § 53-40: Repealed by Session Laws 2012-56, s. 1, effective October 1, 2012. § 53-41: Repealed by Session Laws 2012-56, s. 1, effective October 1, 2012. § 53-42: Repealed by Session Laws 2012-56, s. 1, effective October 1, 2012. § 53-42.1: Repealed by Session Laws 2012-56, s. 1, effective October 1, 2012. Article 6 - Powers and Duties. § 53-43: Repealed by Session Laws 2012-56, s. 1, effective October 1, 2012. § 53-43.1: Repealed by Session Laws 2012-56, s. 1, effective October 1, 2012. § 53-43.2: Repealed by Session Laws 2012-56, s. 1, effective October 1, 2012. § 53-43.3: Repealed by Session Laws 2012-56, s. 1, effective October 1, 2012. § 53-43.4: Repealed by Session Laws 2012-56, s. 1, effective October 1, 2012. § 53-43.5: Repealed by Session Laws 2012-56, s. 1, effective October 1, 2012. § 53-43.6: Repealed by Session Laws 2012-56, s. 1, effective October 1, 2012. § 53-43.7: Repealed by Session Laws 2012-56, s. 1, effective October 1, 2012. § 53-44: Repealed by Session Laws 2012-56, s. 1, effective October 1, 2012. § 53-44.1: Repealed by Session Laws 2012-56, s. 1, effective October 1, 2012. § 53-44.2: Repealed by Session Laws 2012-56, s. 1, effective October 1, 2012. § 53-45: Repealed by Session Laws 2012-56, s. 1, effective October 1, 2012. § 53-46: Repealed by Session Laws 2012-56, s. 1, effective October 1, 2012. § 53-46.1: Repealed by Session Laws 2012-56, s. 1, effective October 1, 2012. § 53-47: Repealed by Session Laws 2012-56, s. 1, effective October 1, 2012. § 53-48: Repealed by Session Laws 2012-56, s. 1, effective October 1, 2012. § 53-49: Repealed by Session Laws 2012-56, s. 1, effective October 1, 2012. § 53-50: Repealed by Session Laws 2012-56, s. 1, effective October 1, 2012. § 53-51: Repealed by Session Laws 2012-56, s. 1, effective October 1, 2012. § 53-52. Repealed by Session Laws 1981, c. 599, s. 19, effective October 1, 1981. § 53-53. Repealed by Session Laws 1981, c. 599, s. 18, effective October 1, 1981. § 53-54: Repealed by Session Laws 2012-56, s. 1, effective October 1, 2012. § 53-55: Repealed by Session Laws 2012-56, s. 1, effective October 1, 2012. § 53-56: Repealed by Session Laws 2012-56, s. 1, effective October 1, 2012. §§ 53-57 through 53-58. Repealed by Session Laws 1965, c. 700, s. 2. § 53-59: Repealed by Session Laws 1991, c. 677, s. 3. § 53-60: Repealed by Session Laws 2012-56, s. 1, effective October 1, 2012. § 53-61: Repealed by Session Laws 2012-56, s. 1, effective October 1, 2012. § 53-62: Repealed by Session Laws 2012-56, s. 1, effective October 1, 2012. § 53-63: Repealed by Session Laws 2012-56, s. 1, effective October 1, 2012. § 53-64: Repealed by Session Laws 2012-56, s. 1, effective October 1, 2012. § 53-65: Repealed by Session Laws 2012-56, s. 1, effective October 1, 2012. § 53-66. Repealed by Session Laws 1983, c. 214, s. 7, effective April 22, 1983. § 53-67: Repealed by Session Laws 2012-56, s. 1, effective October 1, 2012. § 53-68: Repealed by Session Laws 2012-56, s. 1, effective October 1, 2012. § 53-69. Repealed by Session Laws 1945, c. 635. § 53-70: Repealed by Session Laws 2012-56, s. 1, effective October 1, 2012. § 53-71: Repealed by Session Laws 2012-56, s. 1, effective October 1, 2012. § 53-72. Repealed by Session Laws 1971, c. 244, s. 3. § 53-73: Repealed by Session Laws 2012-56, s. 1, effective October 1, 2012. § 53-74. Repealed by Session Laws 1971, c. 244, s. 3. § 53-75: Repealed by Session Laws 2012-56, s. 1, effective October 1, 2012. § 53-76: Repealed by Session Laws 2012-56, s. 1, effective October 1, 2012. § 53-77: Repealed by Session Laws 2012-56, s. 1, effective October 1, 2012. § 53-77.1: Repealed by Session Laws 1989, c. 187, s. 9. § 53-77.1A: Repealed by Session Laws 2012-56, s. 1, effective October 1, 2012. § 53-77.2. Repealed by Session Laws 1971, c. 319, s. 2. § 53-77.2A: Repealed by Session Laws 1995 (Regular Session, 1996), c. 556, s. 1. § 53-77.3: Repealed by Session Laws 2012-56, s. 1, effective October 1, 2012. Article 7 - Officers and Directors. § 53-78: Repealed by Session Laws 2012-56, s. 1, effective October 1, 2012. § 53-79: Repealed by Session Laws 2012-56, s. 1, effective October 1, 2012. § 53-80: Repealed by Session Laws 2012-56, s. 1, effective October 1, 2012. § 53-81: Repealed by Session Laws 2012-56, s. 1, effective October 1, 2012. § 53-82: Repealed by Session Laws 2012-56, s. 1, effective October 1, 2012. § 53-83: Repealed by Session Laws 2012-56, s. 1, effective October 1, 2012. § 53-84: Repealed by Session Laws 2012-56, s. 1, effective October 1, 2012. § 53-85: Repealed by Session Laws 2012-56, s. 1, effective October 1, 2012. § 53-86: Repealed by Session Laws 2012-56, s. 1, effective October 1, 2012. § 53-87: Repealed by Session Laws 2012-56, s. 1, effective October 1, 2012. § 53-87.1: Repealed by Session Laws 2012-56, s. 1, effective October 1, 2012. § 53-88: Repealed by Session Laws 2012-56, s. 1, effective October 1, 2012. § 53-89: Repealed by Session Laws 2012-56, s. 1, effective October 1, 2012. § 53-90: Repealed by Session Laws 2012-56, s. 1, effective October 1, 2012. § 53-91: Repealed by Session Laws 1995, c. 129, s. 17. § 53-91.1: Repealed by Session Laws 2012-56, s. 1, effective October 1, 2012. § 53-91.2: Repealed by Session Laws 2012-56, s. 1, effective October 1, 2012. § 53-91.3: Repealed by Session Laws 2012-56, s. 1, effective October 1, 2012. Article 8 - Commissioner of Banks and State Banking Commission. § 53-92: Repealed by Session Laws 2012-56, s. 1, effective April 1, 2013. § 53-92.1: Repealed by Session Laws 2012-56, s. 1, effective October 1, 2012. § 53-93: Repealed by Session Laws 2012-56, s. 1, effective October 1, 2012. § 53-93.1: Repealed by Session Laws 2012-56, s. 1, effective October 1, 2012. § 53-94: Repealed by Session Laws 2012-56, s. 1, effective October 1, 2012. § 53-95: Repealed by Session Laws 2012-56, s. 1, effective October 1, 2012. § 53-96: Repealed by Session Laws 2012-56, s. 1, effective October 1, 2012. § 53-96.1: Repealed by Session Laws 2012-56, s. 1, effective October 1, 2012. § 53-97. Repealed by Session Laws 1983, c. 328, s. 4, effective June 1, 1983. § 53-98: Repealed by Session Laws 2012-56, s. 1, effective October 1, 2012. § 53-99: Repealed by Session Laws 2012-56, s. 1, effective October 1, 2012. § 53-99.1: Repealed by Session Laws 2012-56, s. 1, effective October 1, 2012. § 53-100: Repealed by Session Laws 2012-56, s. 1, effective October 1, 2012. § 53-101: Repealed by Session Laws 2012-56, s. 1, effective October 1, 2012. § 53-102: Repealed by Session Laws 2012-56, s. 1, effective October 1, 2012. § 53-103. Repealed by Session Laws 1945, c. 743, s. 1. § 53-104: Repealed by Session Laws 2012-56, s. 1, effective October 1, 2012. § 53-104.1: Repealed by Session Laws 2012-56, s. 1, effective October 1, 2012. § 53-105: Repealed by Session Laws 2012-56, s. 1, effective October 1, 2012. § 53-106: Repealed by Session Laws 2012-56, s. 1, effective October 1, 2012. § 53-107: Repealed by Session Laws 2012-56, s. 1, effective October 1, 2012. § 53-107.1: Repealed by Session Laws 2012-56, s. 1, effective October 1, 2012. § 53-107.2: Repealed by Session Laws 2012-56, s. 1, effective October 1, 2012. § 53-108: Repealed by Session Laws 2012-56, s. 1, effective October 1, 2012. § 53-109: Repealed by Session Laws 2012-56, s. 1, effective October 1, 2012. § 53-110: Repealed by Session Laws 2012-56, s. 1, effective October 1, 2012. § 53-111: Repealed by Session Laws 2012-56, s. 1, effective October 1, 2012. § 53-112: Repealed by Session Laws 2012-56, s. 1, effective October 1, 2012. § 53-113: Repealed by Session Laws 2012-56, s. 1, effective October 1, 2012. § 53-114: Repealed by Session Laws 2012-56, s. 1, effective October 1, 2012. § 53-115: Repealed by Session Laws 2012-56, s. 1, effective October 1, 2012. § 53-116: Repealed by Session Laws 2012-56, s. 1, effective October 1, 2012. Article 9 - Bank Examiners. § 53-117: Repealed by Session Laws 2012-56, s. 1, effective October 1, 2012. § 53-118: Repealed by Session Laws 2012-56, s. 1, effective October 1, 2012. § 53-119: Repealed by Session Laws 2012-56, s. 1, effective October 1, 2012. § 53-120: Repealed by Session Laws 2012-56, s. 1, effective October 1, 2012. § 53-121: Repealed by Session Laws 2012-56, s. 1, effective October 1, 2012. § 53-122: Repealed by Session Laws 2012-56, s. 1, effective October 1, 2012. § 53-123: Repealed by Session Laws 2012-56, s. 1, effective October 1, 2012. § 53-124: Repealed by Session Laws 2012-56, s. 1, effective October 1, 2012. § 53-125: Repealed by Session Laws 2012-56, s. 1, effective October 1, 2012. § 53-126: Repealed by Session Laws 2012-56, s. 1, effective October 1, 2012. § 53-127: Repealed by Session Laws 2012-56, s. 1, effective October 1, 2012. § 53-128: Repealed by Session Laws 2012-56, s. 1, effective October 1, 2012. § 53-129: Repealed by Session Laws 2012-56, s. 1, effective October 1, 2012. § 53-130: Repealed by Session Laws 2012-56, s. 1, effective October 1, 2012. § 53-131: Repealed by Session Laws 2012-56, s. 1, effective October 1, 2012. § 53-132: Repealed by Session Laws 2012-56, s. 1, effective October 1, 2012. § 53-133: Repealed by Session Laws 2012-56, s. 1, effective October 1, 2012. § 53-134: Repealed by Session Laws 2012-56, s. 1, effective October 1, 2012. § 53-135: Repealed by Session Laws 2012-56, s. 1, effective October 1, 2012. Article 11 - Industrial Banks. § 53-136. Industrial bank defined. § 53-137. Manner of organization. § 53-140. Sales of capital stock; accounting; fees. § 53-142. Restriction on powers. § 53-143. Investments; securities; loans; limitations. § 53-144. Supervision and examination. § 53-145. Sections of general law applicable. Article 12 - Joint Deposits. § 53-146: Repealed by Session Laws 2012-56, s. 1, effective October 1, 2012. § 53-146.1: Repealed by Session Laws 2012-56, s. 1, effective October 1, 2012. § 53-146.2: Repealed by Session Laws 2011-236, s. 1, effective October 1, 2011. § 53-146.2A: Repealed by Session Laws 2012-56, s. 1, effective October 1, 2012. § 53-146.3: Repealed by Session Laws 2012-56, s. 1, effective October 1, 2012. § 53-147. Repealed by Session Laws 1943, c. 543. Article 13 - Conservation of Bank Assets and Issuance of Preferred Stock. § 53-148: Repealed by Session Laws 2012-56, s. 1, effective October 1, 2012. § 53-149: Repealed by Session Laws 2012-56, s. 1, effective October 1, 2012. § 53-150: Repealed by Session Laws 2012-56, s. 1, effective October 1, 2012. § 53-151: Repealed by Session Laws 2012-56, s. 1, effective October 1, 2012. § 53-152: Repealed by Session Laws 2012-56, s. 1, effective October 1, 2012. § 53-153: Repealed by Session Laws 2012-56, s. 1, effective October 1, 2012. § 53-154: Repealed by Session Laws 2012-56, s. 1, effective October 1, 2012. § 53-155: Repealed by Session Laws 2012-56, s. 1, effective October 1, 2012. § 53-156: Repealed by Session Laws 2012-56, s. 1, effective October 1, 2012. § 53-157: Repealed by Session Laws 2012-56, s. 1, effective October 1, 2012. § 53-158: Repealed by Session Laws 2012-56, s. 1, effective October 1, 2012. § 53-158.1: Repealed by Session Laws 2012-56, s. 1, effective October 1, 2012. § 53-158.2: Reserved for future codification purposes. § 53-158.3: Reserved for future codification purposes. § 53-158.4: Reserved for future codification purposes. § 53-158.5: Reserved for future codification purposes. § 53-158.6: Reserved for future codification purposes. § 53-158.7: Reserved for future codification purposes. § 53-158.8: Reserved for future codification purposes. § 53-158.9: Reserved for future codification purposes. Article 14 - Banks Acting in a Fiduciary Capacity. § 53-159. Trust institution may act as fiduciary. § 53-159.1. Power of fiduciary or custodian to deposit securities in a clearing corporation. § 53-160. License to do business. § 53-161. Examination in connection with license as to solvency. § 53-162: Repealed by Session Laws 2011-339, s. 7, effective October 1, 2011. § 53-163. Clerk of superior court notified of license and revocation. § 53-163.1. Funds held by a trust institution awaiting investment or distribution. § 53-163.2. Investments in securities by trust institutions. § 53-163.3. Fiduciary funds awaiting investment. § 53-163.4: Reserved for future codification purposes. § 53-163.5. Establishment of common trust funds. § 53-163.7. Supervision by State Banking Commission. § 53-163.8. Uniformity of interpretation.  Article 15 - North Carolina Consumer Finance Act. § 53-166. Scope of Article; evasions; penalties; loans in violation of Article void. § 53-167. Expenses of supervision. § 53-168. License required; showing of convenience, advantage and financial responsibility; investigation of applicants; hearings; existing businesses; contents of license; transfer; posting. § 53-169. Application for license. § 53-170. Locations; change of ownership or management. § 53-171. Revocation, suspension or surrender of license. § 53-172. Conduct of other business in same office. § 53-173. Computation of interest; application of payments; limitation on interest after judgment; limitation on interest after maturity of the loan. § 53-173.1: Repealed by Session Laws 1989, c. 17, s. 4. § 53-173.2. Repealed by Session Laws 1975, c. 110, s. 2. § 53-174: Repealed by Session Laws 1989, c. 17, s. 4. § 53-175. Fee for returned checks. § 53-176. Rates, maturities and amounts. § 53-176.1: Repealed by Session Laws 1989, c. 17, s. 4. § 53-178. No further charges; no splitting contracts; certain contracts void. § 53-179: Repealed by Session Laws 2015-179, s. 3, effective September 1, 2015. § 53-180. Limitations and prohibitions on practices and agreements. § 53-180.1. Military service members limitation. § 53-181. Statements and information to be furnished to borrowers; power of attorney or confession of judgment prohibited. § 53-182. Payment of loans; receipts. § 53-183. Advertising, broadcasting, etc., false or misleading statements. § 53-184. Securing of information; records and reports; allocations of expense. § 53-185. Rules and regulations by Banking Commission and Commissioner. § 53-186. Commissioner to issue subpoenas, conduct hearings, give publicity to investigations, etc. § 53-187. Injunctive powers; receivers. § 53-188. Review of regulations, order or act of Commission or Commissioner. § 53-190. Loans made elsewhere. Article 16 - Money Transmitters Act. §§ 53-192 through 53-208: Repealed by Session Laws 2001-443, s. 1, effective November 1, 2001, and applicable to contracts entered into on or after that date. Article 16A - Money Transmitters Act. §§ 53-208.1 through 53-208.30: Repealed by Session Laws 2016-81, s. 2, as amended by Session Laws 2017-102, s. 46, effective October 1, 2016. § 53-208.31: Reserved for future codification purposes. § 53-208.32: Reserved for future codification purposes. § 53-208.33: Reserved for future codification purposes. § 53-208.34: Reserved for future codification purposes. § 53-208.35: Reserved for future codification purposes. § 53-208.36: Reserved for future codification purposes. § 53-208.37: Reserved for future codification purposes. § 53-208.38: Reserved for future codification purposes. § 53-208.39: Reserved for future codification purposes. § 53-208.40: Reserved for future codification purposes. Article 16B - Money Transmitters Act. § 53-208.46. Minimum net worth. § 53-208.48. Permissible investments and statutory trust. § 53-208.49. Application fees and annual assessment. § 53-208.50. Issuance of license. § 53-208.52. Maintenance of records. § 53-208.54. Notice of Material Event. § 53-208.55. Examination and investigation authority. § 53-208.61. Service of process. § 53-208.62. Commissioner's participation in nationwide registry. Article 17 - North Carolina Reciprocal Interstate Banking Act. § 53-211. Acquisitions by out-of-state bank holding companies. § 53-212: Repealed by Session Laws 1993, c. 175, s. 10, as amended by Session Laws 1993 (Regular Session, 1994), c. 599, s. 1. § 53-212.1. Bank agent for deposit institution affiliate. § 53-214. Applicable laws, rules and regulations. § 53-215. Appeal of Commissioner's decision. § 53-216. Periodic reports; interstate agreements. Article 17A - Interstate Branch Banking. §§ 53-219 through 53-224.8: Repealed by Session Laws 1995, c. 322, s. 1. Article 17B - Interstate Branch Banking. § 53-224.11. Interstate branching by North Carolina State banks. § 53-224.12. Interstate branching by de novo entry. § 53-224.13. Interstate branching through the acquisition of a branch. § 53-224.14. Requirement of notice and other conditions. § 53-224.15. Conditions for approval. § 53-224.18. Authority of State banks to establish interstate branches by merger. § 53-224.19. Interstate merger transactions and branching permitted. § 53-224.20. Notice and filing requirements. § 53-224.21. Conditions for interstate merger prior to June 1, 1997. § 53-224.23. Applicability of supervisory authority. § 53-224.24. Examinations; periodic reports; cooperative agreements; assessment of fees. § 53-224.28. Notice of subsequent merger or other change in control. § 53-224.30. Appeal of Commissioner's decision. Article 18 - Bank Holding Company Act of 1984. §§ 53-225 through 53-228: Repealed by Sessions Laws 2017-165, s. 12, effective July 21, 2017. § 53-229: Repealed by Session Laws 1995, c. 129, s. 31. §§ 53-230, 53-231: Repealed by Session Laws 2017-165, s. 12, effective July 21, 2017. § 53-232: Recodified as G.S. 53C-10-303 by Session Laws 2017-165, s. 11, effective July 21, 2017. Article 18A - North Carolina International Banking Act. § 53-232.1. Title and scope. § 53-232.3. Authority to establish and operate federal international bank institutions, international bank branches, international bank agencies, and international representative offices. § 53-232.4. Application of this Chapter. § 53-232.5. Application of the North Carolina Business Corporation Act. § 53-232.6. Requirements for carrying on banking business. § 53-232.7. Actions against international banking corporations. § 53-232.8. Application for license. § 53-232.9. Effect, renewal, and revocation of licenses; permissible activities. § 53-232.10. Securities, etc., to be held in this State. § 53-232.11. Financial certification; restrictions on investments, loans, and acceptances. § 53-232.14. International representative offices. § 53-232.16. Cease and desist. § 53-232.17. Appeal of Commissioner's decision. Article 19 - Registration of Mortgage Bankers and Brokers. §§ 53-233 through 53-243: Repealed by Session Laws 2001-393, s. 1, effective July 1, 2002. Article 19A - Mortgage Lending Act. § 53-243.01: Repealed by Session Laws 2009-374, s. 1, effective July 31, 2009, and applicable to all applications for licensure as a mortgage loan originator, mortgage lender, mortgage broker, or mortgage servicer filed on or after that date. § 53-243.02: Repealed by Session Laws 2009-374, s. 1, effective July 31, 2009, and applicable to all applications for licensure as a mortgage loan originator, mortgage lender, mortgage broker, or mortgage servicer filed on or after that date. § 53-243.03: Repealed by Session Laws 2009-374, s. 1, effective July 31, 2009, and applicable to all applications for licensure as a mortgage loan originator, mortgage lender, mortgage broker, or mortgage servicer filed on or after that date. § 53-243.04: Repealed by Session Laws 2009-374, s. 1, effective July 31, 2009, and applicable to all applications for licensure as a mortgage loan originator, mortgage lender, mortgage broker, or mortgage servicer filed on or after that date. § 53-243.05: Repealed by Session Laws 2009-374, s. 1, effective July 31, 2009, and applicable to all applications for licensure as a mortgage loan originator, mortgage lender, mortgage broker, or mortgage servicer filed on or after that date. § 53-243.05A: Repealed by Session Laws 2009-374, s. 1, effective July 31, 2009, and applicable to all applications for licensure as a mortgage loan originator, mortgage lender, mortgage broker, or mortgage servicer filed on or after that date. § 53-243.06: Repealed by Session Laws 2009-374, s. 1, effective July 31, 2009, and applicable to all applications for licensure as a mortgage loan originator, mortgage lender, mortgage broker, or mortgage servicer filed on or after that date. § 53-243.07: Repealed by Session Laws 2009-374, s. 1, effective July 31, 2009, and applicable to all applications for licensure as a mortgage loan originator, mortgage lender, mortgage broker, or mortgage servicer filed on or after that date. § 53-243.08: Repealed by Session Laws 2009-374, s. 1, effective July 31, 2009, and applicable to all applications for licensure as a mortgage loan originator, mortgage lender, mortgage broker, or mortgage servicer filed on or after that date. § 53-243.09: Repealed by Session Laws 2009-374, s. 1, effective July 31, 2009, and applicable to all applications for licensure as a mortgage loan originator, mortgage lender, mortgage broker, or mortgage servicer filed on or after that date. § 53-243.10: Repealed by Session Laws 2009-374, s. 1, effective July 31, 2009, and applicable to all applications for licensure as a mortgage loan originator, mortgage lender, mortgage broker, or mortgage servicer filed on or after that date. § 53-243.11: Repealed by Session Laws 2009-374, s. 1, effective July 31, 2009, and applicable to all applications for licensure as a mortgage loan originator, mortgage lender, mortgage broker, or mortgage servicer filed on or after that date. § 53-243.12: Repealed by Session Laws 2009-374, s. 1, effective July 31, 2009, and applicable to all applications for licensure as a mortgage loan originator, mortgage lender, mortgage broker, or mortgage servicer filed on or after that date. § 53-243.13: Repealed by Session Laws 2009-374, s. 1, effective July 31, 2009, and applicable to all applications for licensure as a mortgage loan originator, mortgage lender, mortgage broker, or mortgage servicer filed on or after that date. § 53-243.14: Repealed by Session Laws 2009-374, s. 1, effective July 31, 2009, and applicable to all applications for licensure as a mortgage loan originator, mortgage lender, mortgage broker, or mortgage servicer filed on or after that date. § 53-243.15: Repealed by Session Laws 2009-374, s. 1, effective July 31, 2009, and applicable to all applications for licensure as a mortgage loan originator, mortgage lender, mortgage broker, or mortgage servicer filed on or after that date. § 53-243.16: Repealed by Session Laws 2009-374, s. 1, effective July 31, 2009, and applicable to all applications for licensure as a mortgage loan originator, mortgage lender, mortgage broker, or mortgage servicer filed on or after that date. § 53-243.17: Repealed by Session Laws 2009-374, s. 1, effective July 31, 2009, and applicable to all applications for licensure as a mortgage loan originator, mortgage lender, mortgage broker, or mortgage servicer filed on or after that date. § 53-243.18: Repealed by Session Laws 2009-374, s. 1, effective July 31, 2009, and applicable to all applications for licensure as a mortgage loan originator, mortgage lender, mortgage broker, or mortgage servicer filed on or after that date. § 53-244. Reserved for future codification purposes. Article 19B - The Secure and Fair Enforcement Mortgage Licensing Act. § 53-244.020. Purpose and construction. § 53-244.040. License and registration requirements. § 53-244.050. License and registration application; claim of exemption. § 53-244.060. Issuance of license or registration. § 53-244.070. Educational requirements for mortgage loan originators. § 53-244.080. Testing requirements for mortgage loan originators. § 53-244.100. Active license or registration requirements and assignability. § 53-244.101. License and registration renewal. § 53-244.102. Continuing education for mortgage loan originators. § 53-244.103. Surety bond requirements. § 53-244.104. Minimum net worth requirements. § 53-244.105. Records, addresses, escrow funds, or trust accounts. § 53-244.106. Display of license. § 53-244.107. Unique identifier shown. § 53-244.109. Mortgage broker duties. § 53-244.110. Mortgage servicer duties. § 53-244.112. Criminal penalties for unlicensed activity. § 53-244.114. Licensure and registration authority. § 53-244.115. Investigation and examination authority. § 53-244.117: Repealed by Session Laws 2013-412, s. 6, effective August 23, 2013. § 53-244.118. Rule-making authority; records. § 53-244.119. Commissioner's participation in nationwide registry. § 53-244.120. Confidentiality of information. § 53-244.121. Review by Banking Commission. Article 20 - Refund Anticipation Loan Act. § 53-245. Title and scope. § 53-248. Registration procedure; informal hearing. § 53-249. Filing and posting of loan fees; disclosures. § 53-251. Cease and desist; revocation of registration; penalties. § 53-252. Appeal of Commissioner's decision. Article 21 - Reverse Mortgages. § 53-258. Authority and procedures governing reverse mortgage loans. § 53-259. Application of rules. § 53-261. Taxes, insurance, and assessments. § 53-262. Renegotiation of loan; calculation of outstanding balance; prepayment. § 53-263. Limits on borrowers' liability. § 53-264. Disclosures of loan terms. § 53-265. Information required of lender. § 53-266. Effects of lender's default. § 53-267. Repayment upon borrower's default. § 53-268. Time for initiation of foreclosure. § 53-270.1. Contracts for shared appreciation or shared value. § 53-271. Commissioner's authority to enforce; penalties. § 53-273. Reserved for future codification purposes. § 53-274. Reserved for future codification purposes. Article 22 - Check-Cashing Businesses. § 53-278. Application for license; investigation; application fee. § 53-279. Liquid assets required; other qualifications; denial of license; hearing. § 53-280. Maximum fees for service; fees posted; endorsement of checks cashed. § 53-282. Record keeping; receipt requirements. § 53-284. Suspension and revocation of license; grounds; procedure. § 53-285. Cease and desist orders. § 53-286. Civil penalties and restitution. § 53-288. Commissioner to adopt rules. § 53-289. Commission may review rules, orders, or acts by Commissioner. §§ 53-290 through 53-294. Reserved for future codification purposes. Article 23 - Continuity of Contract Under European Monetary Union. § 53-296. Continuity of contract. § 53-297. Effect of currency substitution on performance. § 53-298. References to ECU in contracts. § 53-300. No application to other currency alteration. Article 24 - Trust Companies and Interstate Trust Business. § 53-302. Title and purposes. § 53-303. Companies authorized to engage in trust business. § 53-304. Activities not requiring a charter, license, or approval. § 53-305. Trust business of State trust institution. § 53-306. Trust business of out-of-state trust institution. § 53-307. Trust business of foreign trust institution. § 53-308. Name of trust institution. § 53-309. Trust deposits of authorized trust institutions. § 53-310. Offices of State trust companies. § 53-311. State trust company principal office. § 53-312. Trust offices; representative trust offices. § 53-313. Out-of-state trust offices and representative trust offices. § 53-314. Trust business through a branch or trust office. § 53-315. Establishing an interstate trust office. § 53-316. Acquiring an interstate trust office. § 53-317. Requirement of notice. § 53-318. Action on notice. § 53-319. Additional trust offices; representative trust offices. § 53-320. Examinations; periodic reports; cooperative agreements; assessment of fees. § 53-322. Notice of transactions that cause a change in control. § 53-323. Foreign trust institution application for trust office or representative trust office. § 53-324. Conditions for approval. § 53-325. Additional trust offices and representative trust offices. § 53-326. Examinations; periodic reports; cooperative agreements; assessment of fees. § 53-328. Notice of transactions that cause a change in control. § 53-330. Title and purposes. § 53-331. Organization and powers of State trust company. § 53-332. Articles of incorporation of State trust company. § 53-333. Application for State trust company charter and permission to incorporate State trust company. § 53-334. Notice and investigation of charter application. § 53-335. Decision on charter application and hearing. § 53-336. Issuance of charter. § 53-337. Required initial capital. § 53-338. Subordinated notes or debentures. § 53-339. Application of laws relating to general business corporations. § 53-340. Investment in State trust company facilities. § 53-341. Other real estate. § 53-342. Securities and other investments. § 53-343. Prohibited distributions, acquisitions, liens, or pledges. § 53-345. Engaging in commerce prohibited. § 53-346. Lending and lease financing; conversion to State bank. § 53-347. Acquisition of control. § 53-348. Application regarding acquisition of control. § 53-349. Decision on acquisition of control. § 53-351. Report of changes in chief executive officer or directors. § 53-352. Board of directors. § 53-353. Required board meetings. § 53-355. Certain criminal offenses. § 53-356. Responsibility of directors. § 53-358. Bonding requirements; reports of apparent crime. § 53-359. Merger, share exchange, or asset transfer authority. § 53-360. Merger, share exchange, or asset transfer application. § 53-361. Notice and investigation of merger, share exchange, or asset transfer; decision, hearing, and appeal. § 53-362. Appraisal rights of shareholders in mergers, share exchanges, or asset transfers. § 53-363. Private trust companies. § 53-364. Requirements to apply for and maintain status as a private trust company. § 53-365. Conversion to public trust company. § 53-366. Applicability of other laws to authorized trust institutions; status of State trust company. § 53-367. Commissioner shall have supervision over authorized trust institutions and shall examine. § 53-368. Assessment of State trust companies. § 53-369. Administrative orders; penalties for violation; increase of equity capital. § 53-370. Notice and opportunity for hearing. § 53-371. Removal of directors, officers, and employees. § 53-372. Required vote of shareholders. § 53-374. Authority to liquidate; publication. § 53-375. Examination and reports. § 53-377. When Commissioner may take charge. § 53-378. Directors may act. § 53-379. Notice of seizure; bar to attachment of liens. § 53-380. Notice to trust institutions, corporations, and others holding assets; existing liens. § 53-381. Permission to resume business. § 53-382. Remedy for seizure; answer to notice; injunction; appeal; and motions. § 53-383. Collection of debts and claims; Commissioner succeeds to all property of the State trust company. § 53-384. Bond of the Commissioner; surety; condition; minimum penalty. § 53-386. Notice and time for filing claims. § 53-387. Power to reject claims; notice; affidavit of service; action on claims. § 53-388. List of claims presented, copies, and proviso. § 53-389. Declaration of dividends; order of preference in distribution. § 53-390. Deposit of funds collected. § 53-391. Employment of counsel, accountants, and other experts; compensation. § 53-392. Unclaimed dividends held in trust. § 53-393. Action by the Commissioner following full settlement. § 53-394. Annual report of the Commissioner; items included; reports of condition of State trust companies. § 53-395. Compensation of the Commissioner's office. § 53-396. Exclusive method of liquidation. § 53-397. Disposition of books and records. § 53-398. Destruction of books and records. § 53-399. Petition for new trustee. § 53-400. Report to the Secretary of State. § 53-401. Provisions for conservator; duties and powers. § 53-403. Termination of conservatorship. § 53-404. Rights and liabilities of conservator. § 53-405. Naming of conservator not liquidation. § 53-406. Sale of assets by board of jeopardized State trust company. § 53-407. Authority to act as disbursing agent. § 53-408. Payment to creditors. § 53-409. Issuance of preferred shares by jeopardized trust company. § 53-410. Commissioner to act under authority of the Commission. § 53-412. Commissioner hearings; appeals. § 53-414. Cancellation of charter. § 53-416. Reserved for future codification purposes. § 53-417. Reserved for future codification purposes. § 53-418. Reserved for future codification purposes. § 53-419. Reserved for future codification purposes. § 53-420. Affiliate transfers authorized; procedure. § 53-421. Objection to affiliate transfer. § 53-422. Effect of affiliate transfer. § 53-423. Trust institution as agent. Article 25 - Asset-Backed Securities Facilitation. § 53-426. Waiver of equity of redemption.